Wall Clocks There are 9 products. 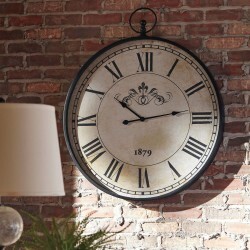 Turn back the hands of time with this wall clock. Large Roman numerals pop against the distressed cream finish to exude the timeworn splendor we cherish. 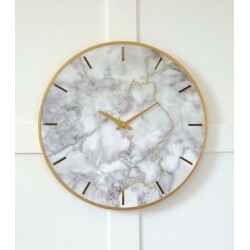 Be on time or fashionably late with this wall clock. Dark brown finish is accented with riveted trim while goldtone Roman numerals sit behind the mirror face. Big time. 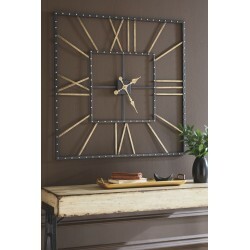 Measuring an impressive three feet by three feet, this wall clock is quite the statement piece. 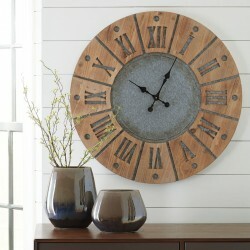 And the infusion of roman numerals, rustic wood and galvanized metal? So striking. 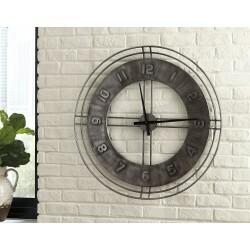 Bring home an old time London feel with this wall clock. Antique silvertone finish on the frame captures the beauty of yesteryear. Black Roman numerals on white face is a classic combination. It's timeless style.